Chelsea Farms Oyster Bar at 222 Market is a space to sell and celebrate the local bounty of the tides. With a family friendly atmosphere and a 21+ bar section, it's a place to celebrate with friends and family. From a quick casual lunch or a romantic date night, the Oyster Bar offers it all. 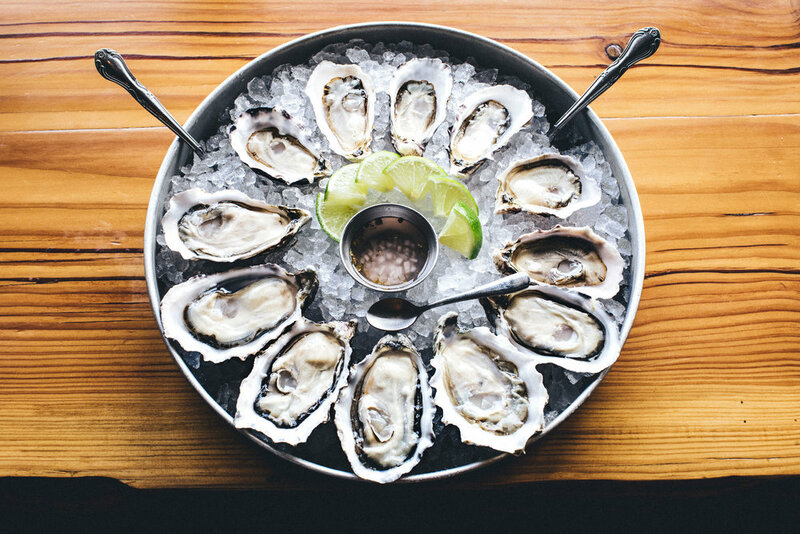 Although there is emphasis on our own shellfish and other local varieties, Chelsea Farms Oyster Bar caters to the non-seafood loving patron too. 2016 LE PIANE "LA MAGGIORINA"
2015 FREDERIC ESMONIN "CLOS PRIEUR"
2013 JB NEUFELD "OLD GOAT"
JEAN JOSSELIN "CUVEE DES JEAN"
Chef Henri was born and raised in Los Angeles California but spent a good portion of his childhood in Mexico. His parents were both great cooks and his early inspiration to become a Chef came from their cooking and the Mexican flavors of his childhood. Before coming to Chelsea Farms Oyster Bar Chef Henri worked at Olympia Provisions co., Imperial and Aviary in Portland Oregon. 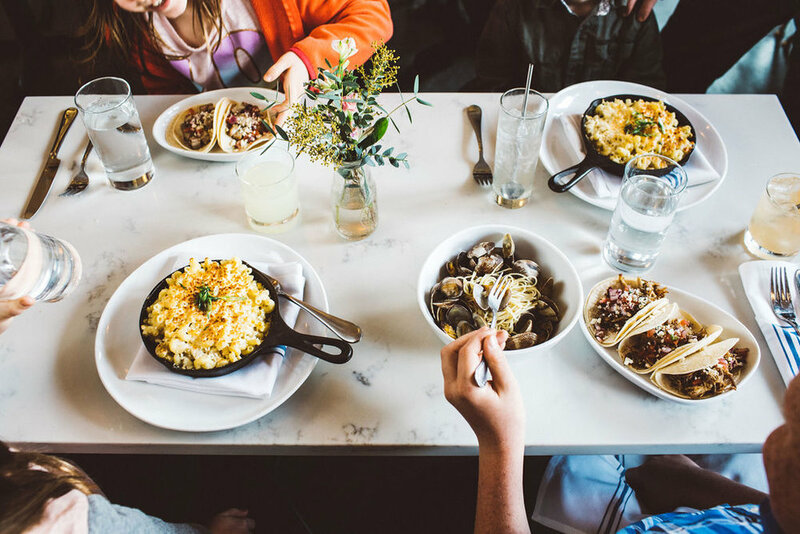 Since moving to the Pacific Northwest in 2008, Chef Henri focused on working with the best Shellfish and Seafood available and built on his Mexican culinary heritage with a love of Northwest Ingredients and culture. As a third-generation Olympian, I have deep roots here. My grandfather was the City Manager for many years and instilled a sense of pride and ownership within our community along with the desire to see it grow. During my time living here, I have enjoyed working, playing and raising my daughter, Liliana. After graduating from Evergreen I worked for the State and then for a local nonprofit. However, I’ve always felt most at home working in restaurants. I got my first restaurant job while I was in college at Budd Bay Café where I first met Shina. Years later, when I heard that she and her brother, Kyle, were opening an Oyster Bar I was excited about the opportunity to be able to come work with them. They, along with other local business owners here, truly believe in the potential of Olympia and that's something I'm proud to support. I’ve been with Chelsea Farms Oyster Bar since the day we opened our doors. I’ve watched it grow and transform into a true downtown gem. I am excited to be part of a team that continues to evolve, offers innovative cuisine, and gives superior customer service to our guests. There are more developments for our little restaurant on the horizon and I can’t wait to share them with you all.